There’s more to a heating and cooling system than the initial purchase. It’s important to protect it from future mishaps! 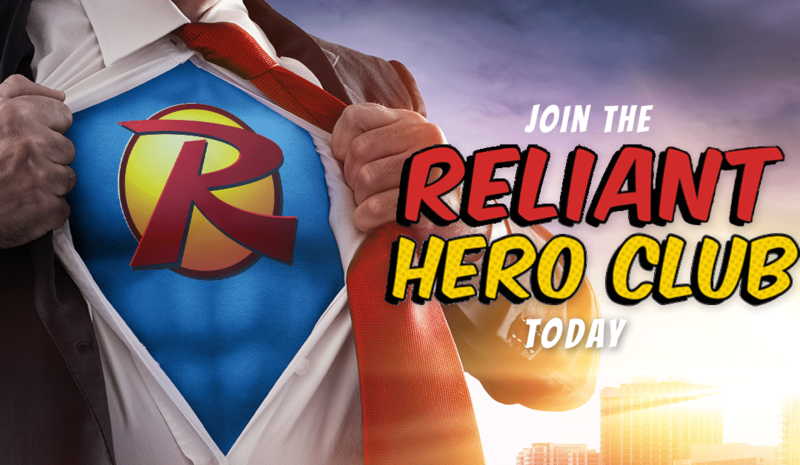 We wanted you to be able to rely on us even more, so we created the Hero Club. *$500 Max per system, systems accrue individually with no lapse in Club Membership. What more could you ask for? Click the “Learn More” button below to see our payment options. We take our jobs seriously around here at Reliant Air Conditioning. We’re the company for air conditioning service, heating and air conditioning replacement, and Fort Worth and Dallas HVAC repair time and time again because we’re dependable, we’re fair, and we don’t partake in misleading gimmicks. So call two other companies, then give us a call. You’ll be glad you did.